AutoMonthly, we got all the news of the auto industry, including trucks, bikes and buses: Citroen reveals the C4 Lounge for the Brazilian market. 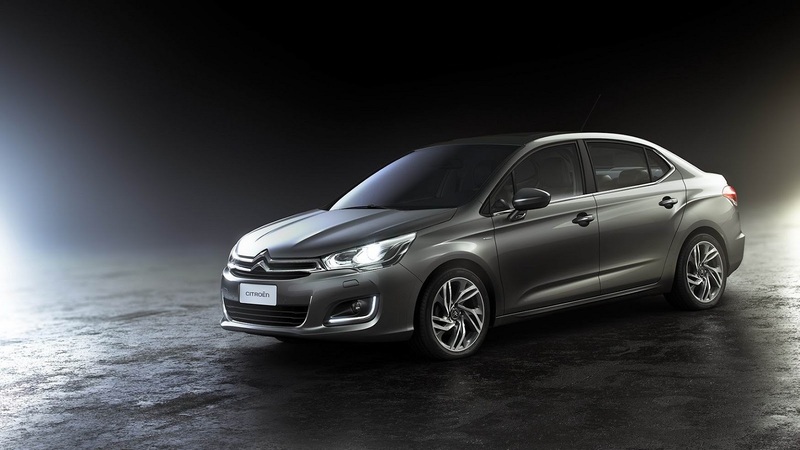 Citroen reveals the C4 Lounge for the Brazilian market. The C4 Lounge will replace the C4 Pallas, which is a model with very low sales, in several emerging markets such as China, Russia and Brazil. The front end is inspired by the European hatchback, but the back is completely new with a design that is becoming standard in most mid-size sedans, short overhang and horizontal tail lights. The C4 Pallas is made in manufactured in El Palomar, Argentina, as will the Lounge. Due to this fact it is expected that this new sedan will be introduced at the Buenos Aires Motor Show in June. Not much is known, but it should have around 4600m in length and a wheelbase of over 2700mm. The engines used should be a 2.0 liter bi-fuel and the 1.6 liter THP. The current 4-speed gearbox found in the Pallas should be replaced by a new 6-speed automatic transmission.